Showing results by author "Bill the Geek"
This book shares information for Americans about the joys and advantages of living as ex-pats in Mexico. Topics covered include the cost of living, climate, crime and safety, banking, visas and other documents, and advice for women living alone. 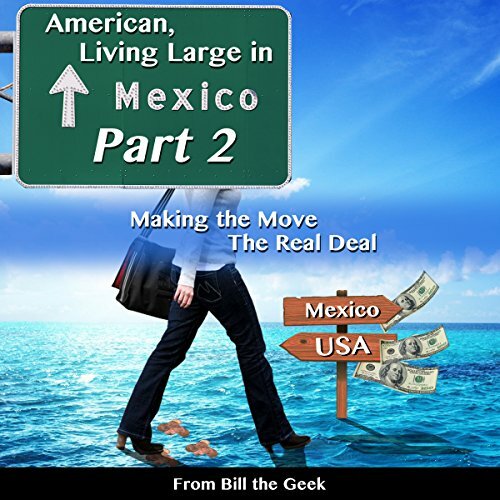 In part one, I went over the basics, but in this part, I get into the very specifics of making the move to Mexico and working online so that you can earn good money online from countries that pay good money. Countries like Great Britain, The United States, Australia, and other English speaking countries where people will pay you online and this money will go into your USA bank account. The following text is from me talking into my computer, going from chapter idea to the next chapter idea. It was not written, the text all comes from the spoken word. After I recorded the whole thing, I had a wonderful person in Europe transcribe the voice into text.